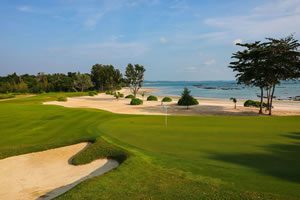 Nestled in Pattaya Bay, Dusit Thani Hotel Pattaya offers golfers stunning sea views. The hotel located near to Terminal 21 shopping mall, and a short baht bus ride from Pattaya Walking Street. All rooms have either private balconies and garden or sea views. 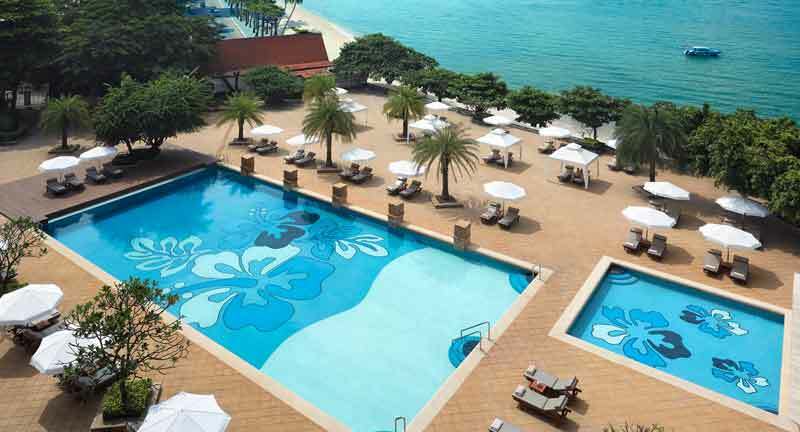 Dusit Thani Hotel Pattaya also offers many facilities, WiFi, spa, tennis courts, and two swimming pools. Three on-site restaurants serve international, local, Chinese, and Italian food. 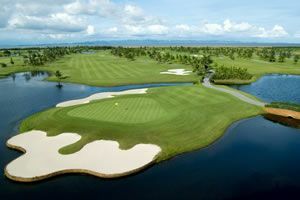 Easy golf course and highway access make the Dusit Pattaya perfect for golf holidays.